Why not simply buy a medicinal plant extract in a health food store? Medicinal plant extracts can be found in most health food stores, but such products contain little or no TA-65. We tested four commonly available medicinal plant extracts and none of them contained any measureable amounts of TA-65 (the test assay is accurate to one part per million). Our proprietary production process starts with three tons of plant material and ends up with capsules that we guarantee contain 5mg of TA-65. Learn more about our quality standards and testing here. 250 units (1 capsule daily) is efficacious for healthy adults in their 40′s or 50′s. Also 250 units can serve as a maintenance dose for older people who have been taking higher doses of TA-65 for several years and want to continue on a reduced cost program. Clients who took this dose were shown to have increased short telomere length and significantly improved immune system function. There are also anecdotal reports of increased endurance and other benefits. 500 units (2 capsules daily) has been proven to lengthen short telomeres, restore the immune system, and improve other important bio markers. Anecdotal reports included increased energy, endurance, vision improvements, sexual enhancement, and more. This medium strength dose is recommended for people who are generally in good health and want to be proactive in longevity and healthy aging. Many people in their 50′s or 60′s fall into this category. Have reason to believe that strengthening their immune system would have particular benefit. It is expected that this dose will give an increased benefit over the lower doses (although not a proportional benefit). 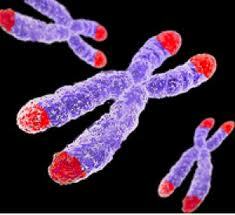 Study subjects experienced lengthened telomeres, restoration of weak immune systems, bone density improvements and other important bio marker improvements which usually decline with age. Anecdotal reports include energy increase, endurance, cognitive improvements, improved vision, sexual enhancement, and an overall feeling of well being.